Introducing El Cerrito’s unique and exciting LGBT+ Special Collection! Join us on Sept 4th! Join the El Cerrito Library, Friends of the Library, the Library Foundation and the City of El Cerrito for a celebration and introduction to El Cerrito’s unique and exciting LGBT+ Special Collection! 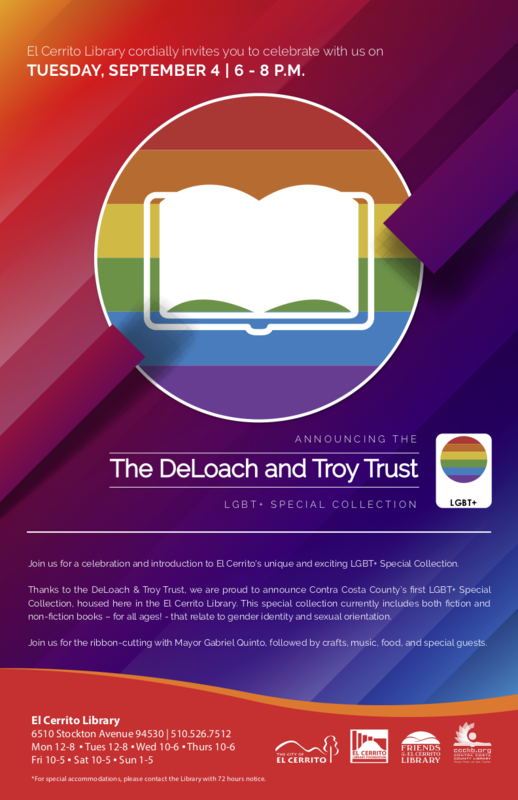 Thanks to the DeLoach & Troy Trust, the Library is proud to announce Contra Costa County’s first LGBT+ Special Collection, housed here in the El Cerrito Library. This special collection currently includes both fiction and non-fiction books – for all ages! – that relate to gender identity and sexual orientation. Join us for the ribbon-cutting with Mayor Gabriel Quinto, followed by crafts, music, food, and special guests! TUESDAY, SEPTEMBER 4 at 6 – 8 P.M at the El Cerrito Library. 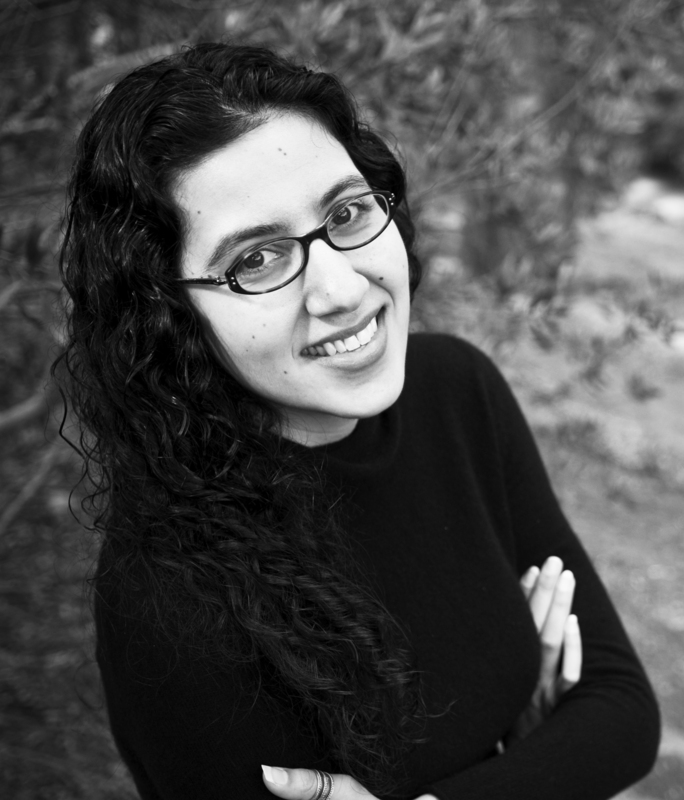 Learn how Gigi Pandian, an Agatha Award-winning and USA Today bestselling author, combines magic, mystery and history in her books in a special event at the library starting at 6:30 p.m. on Monday, June 25. A resident of El Cerrito, Pandian is the author of the Jaya Jones Treasure Hunt Mystery Series, the Accidental Alchemist mysteries and locked-room “impossible crime” short stories. Her locked-room novella, “The Library Ghost of Tanglewood Inn,” won the 2017 Agatha Award for best short story. Pandian is the child of cultural anthropologists from New Mexico and the southern tip of India. After spending her childhood being dragged around the world, she now lives in El Cerrito with her husband and garden gargoyle. Learn more about her at http://gigipandian.com/. At the June 25 event, Librarian Alison Peters will officially convene the El Cerrito Mystery Book Club, where the inaugural book will be chosen. The gathering will start wtih a short business meeting of the Friends of the El Cerrito Library. Refreshments will be served.